The next antenatal yoga teacher training course will begin in January 2019. The next postnatal teacher training module will take place in November 2018. Applications are now being accepted for both courses. Please click on this link to find out more: training courses for new teachers. 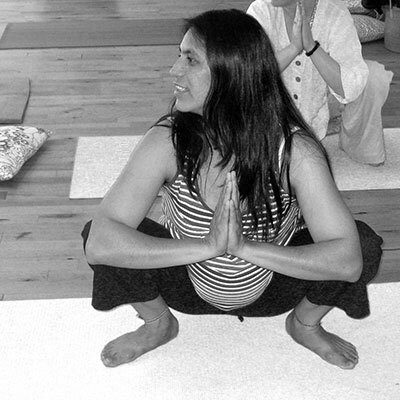 Pregnancy yoga offers time to stretch, relax, breath and enhance your pregnancy. You will enjoy healthy, safe exercise that prepares you in mind and body for childbirth and being a new mum. In the prenatal class you will learn about posture, optimal fetal positioning, as well as labour techniques and a form of self hypnosis. Our birth preparation workshops give time for you and your birth partner to explore active birth positions, learning birth breathing, pain relieving massage and more. They are designed specifically to prepare couples for their labour and birth and are compatible with your other antenatal classes. Our Postnatal classes offer gentle strengthening and soothing exercise for you and your baby, together. This may also involve baby yoga or baby massage. Give you and your baby the best start to life. Yoga & Breathing for Pregnancy & Birth is a visual guide integrating yoga, breathing techniques and active birth positions to prepare you in body and mind. Practise, breathe, relax and enjoy. "YogaBirth - dedicated to supporting women and families in the childbearing year and beyond"
. · Theme: Pilcrow by ..